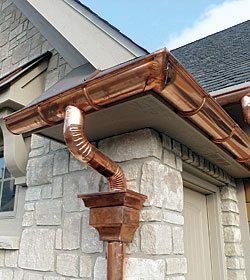 Rain Gutters keep your home’s structure dry and safe; from the roof down into the ground around your foundation. Gutters are responsible for leading water away from your home and clear of the dangers mis-managed water can cause. A poorly designed gutter system can allow water to pool around your foundation, jeopardizing your home’s structural integrity. K-style gutters have flat backs and bottoms, the front side of the gutter normally has a decorative shape, such as a curve or ogee, that looks a bit like crown molding. Note: many styles are available. 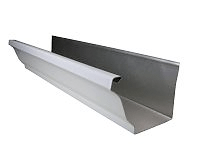 Half-round gutters are exactly that: half-round tubes made of any given gutter material. Half-round gutters often are found on older, historic homes. 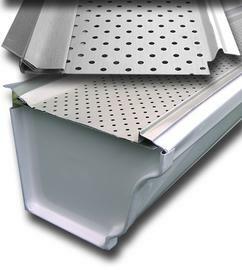 Adding gutter guards to your home will remove the need to do so. These systems prevent clogging; shielding your gutters from the leaves and debris that commonly cause clogs in gutters. We provide 24 hour 7 day a week Emergency Gutter Repair, Gutter Leak Repair and Gutter Replacement. 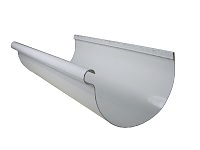 You can count on us for reliable and affordable Rain Gutter Repair in Fairfield County. Our owner is involved in every step of your gutter project from start to finish. No questions go unanswered and no concerns are overlooked. You are not just making an investment into your home or building, you are really making an investment into us, which is why we offer a 100% workmanship, hassle-free guarantee! No other local gutter company makes a guarantee like this!